Networking with fellow Long Island businesses can greatly increase personal or company success. Longisland.com partnerships... Contact LongIsland.com to be listed on this page and help expand your business's potential. ExecuLeaders is a non-profit business association dedicated to educating the business community in methods and techniques of sales, marketing and networking, as well as helping foster new business opportunities in the New York metropolitan area. Long Island's fastest growing complete online business directory and local web portal. 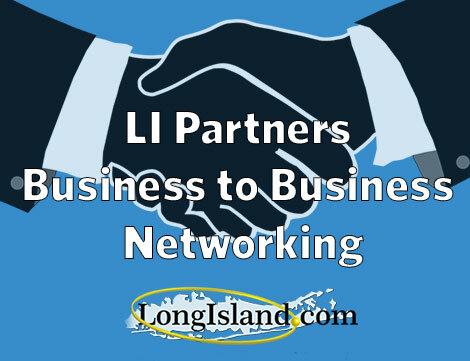 Our goal here is to help boost the local Long Island economy by acting as a networking center for businesses to communicate with the general Long Island public. Long Island Media - Get information about radio, television, newspapers and online media serving Long Island. Long Island News & Press Releases - Stay informed over what's going on across Long Island.